I absolutely love to thrift. While I started out thrifting only graphic tees, I quickly realized that I had hit the jackpot to create a unique and fashionable wardrobe while living in New York City, on a very tiny budget. I am the oldest of six, and my mom simply did not have the funds for my fashion tastes. 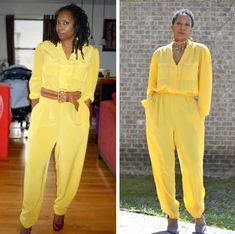 As I am a very understanding (I had no choice) daughter, I opted to find different ways to get my fashion fix, without hurting our family’s budget. Shopping secondhand was the answer. Today, I thrift just about everything for my home, kids, office and of course, my closet. There are tons of reasons that I can give you about why you should be thrifting as well. But, let’s focus on my number one reason why I love to thrift. I thrift because I save some serious money. If the thought of keeping more coins in your pocket doesn’t appeal to you, then not sure how else I can persuade you to thrift. I often say that I have champagne taste with a beer budget. But, as we know, while a lot of designer items are indeed beautiful, they also have a price tag that makes me itch. Since, I am absolutely smart about my money, thrifting has given me the opportunity to stock up in the niceties of life without breaking the bank. Let’s talk about some hard numbers here for a minute. The average discount you can find on clothes and shoes in consignment stores is upwards of 50% off, and at thrift stores, we are talking about 75% off the retail price. This does not even include the daily or monthly specials where all clothing might be 50% off of the already ridiculously low price. Finding high end designer items at thrift stores is always a thrill and keeps me going back often. This is the case for these gorgeous fur cuff boots I am wearing in this post. While browsing one of my favorite consignment stores here in Annapolis very recently, New To You Consignment, I spotted these booties on the floor. The fur cuff caught my attention. After doing a quick silent prayer that they will fit me, I tried them on. They slipped on like they were my Cinderella slippers. They were made for me. As I inspected the booties, the luxury quality of the boots was readily evident. It appeared to be genuine suede with real fur. Unfortunately, I was not aware of the Italian designer, Aquatalia, and did not have chance to do my normal googling. I then checked the price, $15! Regardless of what my later research would show, I knew that I was walking away with these pristine condition booties. When I later researched the Aquatalia brand, I literally did a double take when I saw the exact booties and the price. Crafted in Italy, Aquatalia footwear uses fine leathers and suedes, Aquatalia transforms their texture and finish through an exclusive process that adds exceptional softness and the ultimate luxury of weatherproofing and stain-resistance. These gorgeous boots retail at $650. Yes, let that sink in. I paid $15. This is why I love to thrift. Rocking my designer booties (without the designer price) I created this look with these thrifted bandage skirt which was thrifted from Goodwill for $4.50. 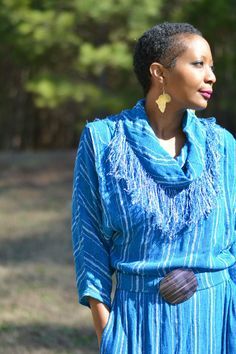 I really love this skirt because the pattern allows me to feel a little relaxed in the midsection, even with my mommy pooch. If you are looking to hide some areas, look for patterns that nicely camouflages your weak spots. I paired the skirt with this thrifted Limited shirt and a pair of fashion tights. Finally, I completed the look with my bright pink Zara trench coat, which I got at Zara’s end of season sale for $19.99. It originally retailed for $100! I hope I have given you at least one major reason why you should try thrifting. You will absolutely save money! You definitely have this thrifting down pat! Saved yourself a ton of loot! I need to start thrifting! I really wished I lived some where that the thrift stores carried anything half way decent. Everytime I go in, I can never find anything half way decent. Love that skirt! You save so much on designer items and quality ones when you go thrift shopping. I think it’s one of the best ways to shop for clothes especially if you’re very much into fashion. Love your outfit here! That coat is stunning. I am a terrible thrifter. I really need to work on it. Part of it is my location and part of it is the try on. But I would love to learn one day. Your outfit is amazing. I’m loving those boots and your style so much! 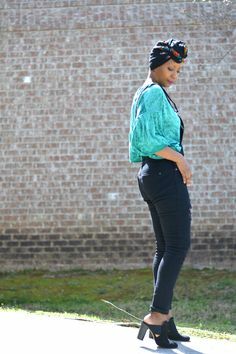 Love your outfit and would love to do some thrift shopping for myself and my kiddos clothes as well as my home. You definitely can find some great deals! I love thrifting too. Most of my wardrobe is either from a thrift store or resale shop. Over the years this has extended to my home . I love how eclectic and unique my home has become from not buying retail. I really enjoyed your article!!! you look so cute! I need to get better at this! I love the combo of pink and stripes! So chic girl! I love thrifting for clothes and home items. You can find great deals and love what you have going on here. Thrifting is such a smart way to find great fashion on a budget. I know there is a fine art to it that I haven’t mastered yet, but I want to, especially since I love retro finds. WOW! I would never have had any idea that any part of this outfit was from a thrift store. What a gorgeous and well put together outfit. love the bright pink coat! I’ve thrifted a few of my Christmas gifts this year and I have saved so much money. I have to say that I am 100% a convert now. Best thing I have ever done. I’m a size four though, so there’s rarely any clothes in my size. It is fun to look though. I absolutely love that fuchsia jacket. It looks great on you and I love that it adds some color and pizzazz to an otherwise drab evening.